Looking for a reputable plumber you can rely on for your Endeavour Hills property? With many years of professional experience under our belts and a steadfast commitment to customer-care, Urban Tide Plumbing is the perfect choice for Exceptional plumbing services in & around Pakenham. We are always prepared to assist all households and properties throughout Melbourne with our versatile and proficient plumbing services. Whether you have a plumbing emergency on a weekend, a weekday or on public holidays, with our reliable service of an emergency plumber in Endeavour Hills you can calm down. From small to the toughest problem we are capable of providing you efficient plumbing solutions through proper maintenance. Now, finding systematic plumbers near me is not a big deal! In fact, you can have them at your doorstep by contacting us! When it comes to plumbing issues, there are some things you just can’t ignore. Burst sewerage pipes, leaking roofs, drain blockages and gas fitting problems – all of these things can get worse the longer you leave them, which is why we always recommend addressing the problem as soon as possible. The good news is that with Urban Tide Plumbing, we’re just a call away at any time of the day or night. 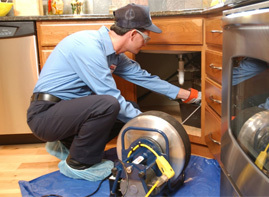 Our 24/7 emergency plumbing service ensures you are never left to deal with a stressful problem on your own. Just give us a call and our professionals will be on their way. We also put an emphasis on competitively priced services without compromising on the quality of the solution. Using the latest high-powered equipment and methods, we ensure that your pipes are cleaned and your plumbing problems taken care of in an effective manner. When hiring a plumber in Endeavour Hills, Cranbourne, Berwick, it’s important to find someone who you can trust to provide exceptional solutions that will last you the long-haul. After all, you don’t want to be dealing with the same problem just a few weeks or months down the track. With us, you can feel confident that will never happen as our team is always focused on your experience and satisfaction from beginning to end. So no matter your plumbing problem, Urban Tide can help you out without breaking the bank. Just call us on 0411 218 654 or contact us here to organise your free quote today. At Urban Tide Plumbing we offer excellent plumbing services throughout Melbourne. Available for 24/7 emergency plumbing repair services, we take pride in our dedication to quality workmanship and customer service excellence.